Philips has reported some pretty bad figures for the third quarter of the year, with profits having fallen a staggering 85%. The bleak financial news means that around 4,500 workers will lose their jobs as part of a £700 million cost cutting plan. Compared to the same time last year, Philips' profits are down from €524 million (£459 million) to €76 million (£66.5 million). 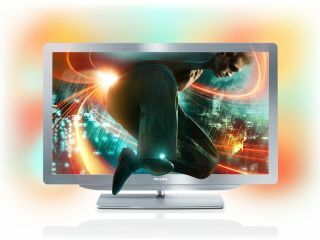 It was announced in April that Philips would sell a chunk of its television making business off to a Hong Kong-based company called TVP, but the negotiations are reportedly taking longer than anticipated. "For the eventuality that a final agreement cannot be reached, Philips will consider its alternative options," said Philips' CEO Frans van Houten. Based in the Netherlands, Philips has held court as Europe's biggest consumer electronics producer; but with figures like these, it's not clear how long that title can realistically last.